Food Security is anything but simple. 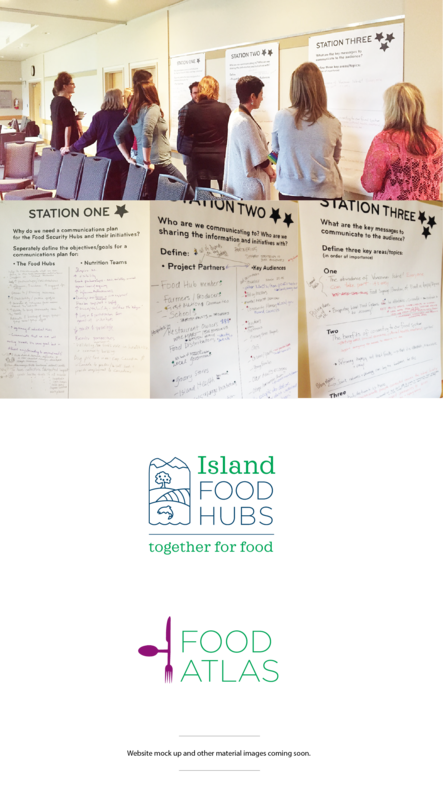 VIHA (Vancouver Island Health Authority) and Vancouver Islands eleven Food Hub leads, employed Awarewolf Creative to research and develop a more effective set of tools and processes to communicate the Food Hubs message and goals clearly and cohesively across a variety of communication platforms, Island wide. Through facilitating a co-creative strategic ideation session to define audience, message and goals, through to refining and solidifying the communications plan, collaboratively with the Food Hubs, we developed a set of clear, simple and easy to use communication tools that establish identity and assist the hubs in communicating effectively. Policy makers, communities, NGO’s and non-profits, food producers and harvesters. – Media toolkit : Letterhead, presentation templates, banners etc.